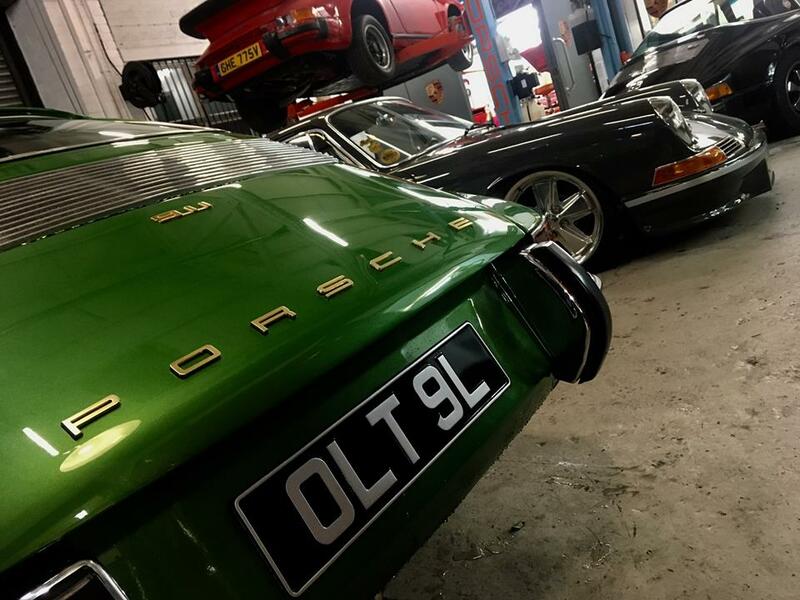 Last year it was visit to Northern Ireland to inspect and collect a beautiful 964, this year it was a short notice trip to Aberdeen in Scotland to inspect and bring back this 2.7 911 Targa for our long-time customer Phil from Burley-in-Wharfedale. After sinking his 911 teeth into a 996 a few years ago Phil has been well and truly bitten by the 911 ‘BUG’. 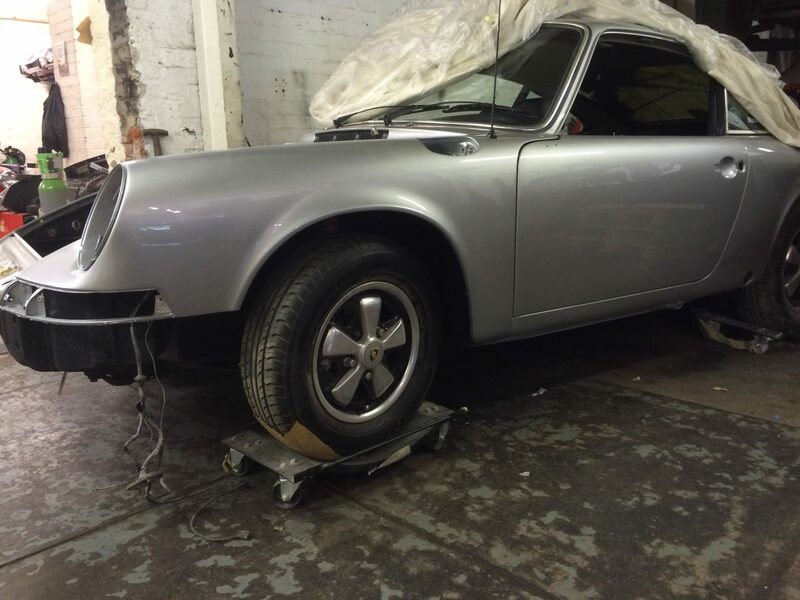 Phil is the co-owner of the unique ‘Singer’ style project we are currently underway with based on a 911 SC with a turbo fitted when the car was just 12 months old however Phil recently stumbled across this car and it caught his eye. The specification read pretty well, Turbo body in steel, Speed line split rim alloys and just out of MOT ! Just needs a bit of TLC and a carpet set!! How wrong could that have been! Richard made the 400 mile trip up with the trailer last Friday to hopefully collect a car in need of light recommisioning work. 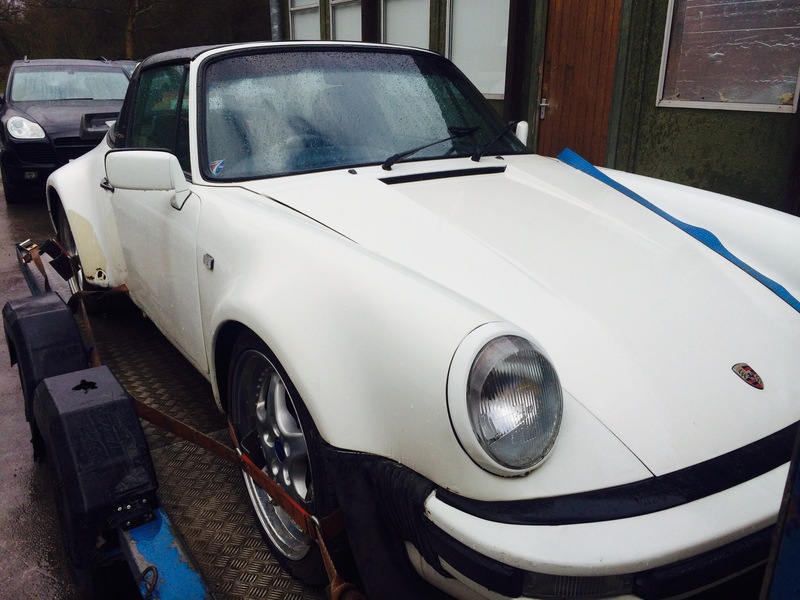 Upon arrival what met him was surely not the car in the description… To say that the car had an Mot up to January 2015 is very questionable (the Mot was present and appeared correct) and needing a carpet set was the least of its worries, this car was in need of major restoration work. 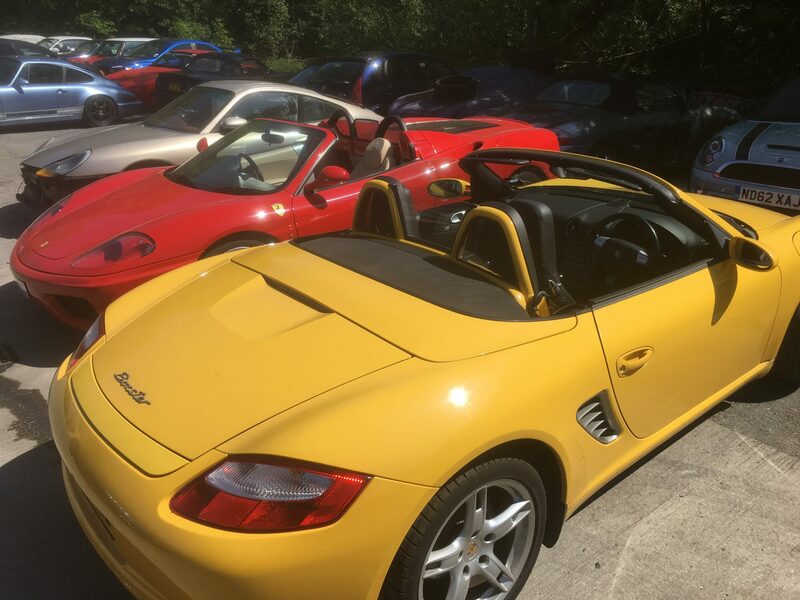 After a few emails, texts and phone calls a deal was struck with the vendor to reflect the condition and work required and the car was then hooked up and brought the 400 mile journey south back to Brighouse. The strange thing was that prior to heading up to Aberdeen the car had originated locally from Saddleworth. Phil’s plans are for us to get the engine running and give it a proper appraisal prior to any decisions on restoration etc. We will put the car into our own storage facility and concentrate on his other current project which we are aiming to get ready for August this year. You can see more information on our Singer inspired project on an earlier blog post!